January 14, 2019 -- A radiographer in the U.K. is trying to secure support for the idea of a Lego open MRI scanner in a bid to convince the Danish company to offer a replica of a suite as a commercial product. This follows the development and use of Lego MRI by a group of U.S. and Dutch radiologists in 2015. Apollo Exconde has a special interest in claustrophobic and plus-size patients, and he is seeking a solution to help them conquer their fears of MRI "one Lego brick at a time," he said on his product idea Lego webpage. The wide, unobstructed view separates the design of the open MRI scanner from that of a conventional system, and the Lego version of the open MRI scanner would be a "perfect replica while explaining it to 'scanxious' patients," he said. 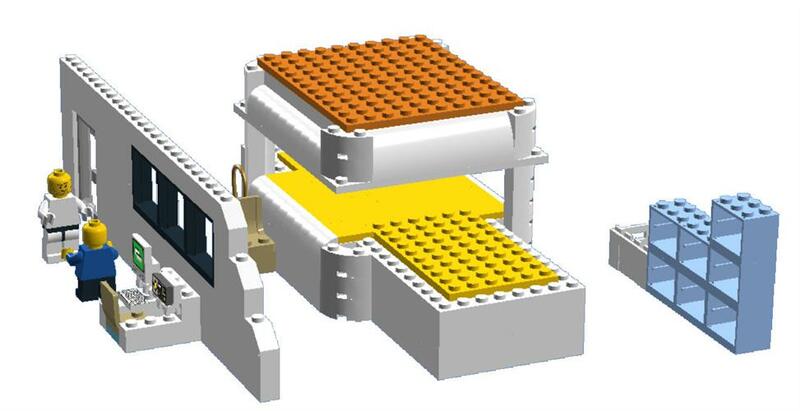 Apollo Exconde's design for a Lego open MRI scanner. "I hope the world will help me to help all those who [have] scan-related anxiety issues and the plus-size [patients] to do their MRI," he said. The idea so far has received 100 votes of support, which resulted in Lego now giving a full year to secure 1,000 votes. If he reaches 1,000 votes he will receive an additional six months to reach 5,000 votes. At that point, he would have an additional six months to reach the 10,000 votes necessary for Lego to consider it for production, Exconde said. "Although the goal is 10K, I feel that the journey toward it matters," he said. "I believe that it is not claustrophobia or anxiety that stops them from having a scan, but the lack of support." Those interested in supporting Exconde in his campaign will need to create a Lego account and can then vote for the design on his webpage. The open MRI scanner represents a symbol of hope that there is a way to get through the scan, Exconde said. "I am trying my best to reach out to many people, organizations, and societies," Exconde told AuntMinnieEurope.com. "As more people [get involved], the more I can raise awareness about my advocacy in claustrophobia and scan-related anxiety."